A high profile plastic surgeon dubbed Dr. Bumbum, who has performed thousands of bottom enlargement operations, is on the run after a woman died hours after a procedure on her buttocks. 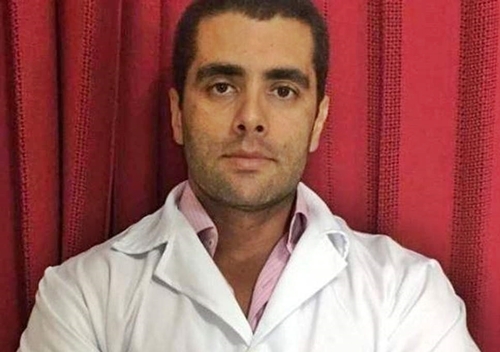 A celebrity Brazilian plastic surgeon known as Dr Bumbum has gone on the run after a woman died following injections he gave her to enlarge her buttocks, BBC reports. Dr Furtado took her to a hospital where her condition worsened and she died some hours later, police said. He then disappeared and a judge has issued a warrant for his arrest. 45-year-old Dr Furtado, has appeared on Brazilian television and has nearly 650,000 followers on his Instagram account. Ms Calixto, a 46-year-old married mother of two who worked in banking, had travelled from her home in Cuiaba, central Brazil, to undergo buttock enhancement by Dr Furtado on Saturday evening, reports said. Police said Dr Furtado's girlfriend has been arrested on suspicion of taking part in the procedure. Dr Furtado has built up a large online following through various social media accounts. Aside from his popular Instagram page, he is also very active on Facebook - filling his page with before-and-after shots of buttocks procedures - and on YouTube, where he presents advice on everything from endometriosis to low-carb diets. In one social-media post, he said he was given the name Dr Bumbum by his clients and had embraced it as a term of affection. He signed off from many of his posts with the nickname, and ran a series of segments on Facebook called "Dr Bumbum teaches…"